Providing you the best range of palladium catalyst hydrogenation with effective & timely delivery. We provide our customers with a range of Palladium Catalysts, which are widely used for Gas Purification of very high purity gases in a number of applications. 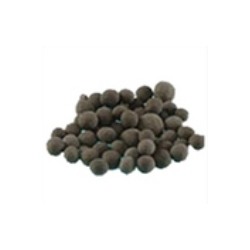 These are suitable for metal loading of Palladium of 0.3% and 0.5% with alumina spheres or tablet supports and are available ex-stocks. Support Material: Activated Alumina 2 - 4 mm. dia.